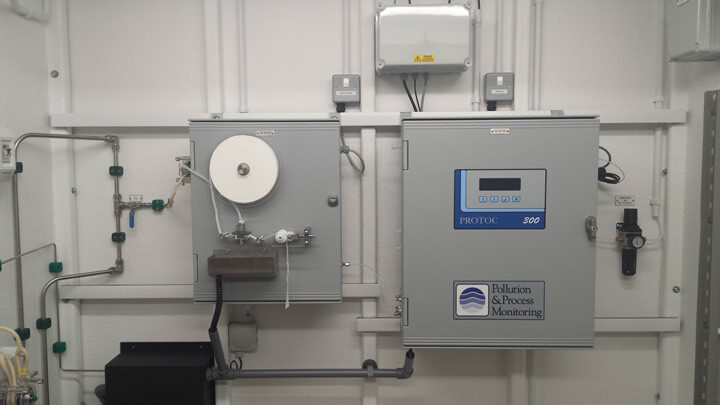 Wessex Water has purchased a Proam ammonia monitor which uses ion selective technology, to continuously report and data record ammonia concentrations in waste water. The instrument is to be mounted in a small GRP enclosure suitable for handrail mounting which also contains a heater to provide frost protection, lighting and the reagents. The enclosure allows for temporary installation and transportation between sites, by car. The instrumentation can be quickly deployed to allow Wessex Water Scientists to monitor site performance and optimise upstream processes. The Proam instrument automatically calibrates against two known calibration standards to maintain optimum measurement performance even at low concentrations of ammonia, at sites with strict discharge consents. Our Irish distributor has secured a project to continuously measure chloride and dissolved organics, at a pharmaceutical manufacturing plant. The instrumentation will be installed to provide continuous measurement of a process effluent from a water softening plant to ensure that the levels of dissolved salts as Chloride and the organics, measured optically at a frequency of 254nm, are below threshold values. The Proam chloride monitor will automatically calibrate against two calibration standards to maintain calibration. The UV254nm instrument will be automatically maintained using compressed air cleaning and will be checked against two known calibration solutions, to verify measurement performance. Our distributor in Taiwan, Atlas Technology has placed an order for two Proam ammonia monitors for their client Micron Memory, Taiwan. Located in the city of Taichung, this FAB plant manufactures random access memory products for applications in personal computers and tablets. The Proam ammonia analysers will monitor waste-water generated by the fabrication plant to determine the load entering the treatment facility. Both Proam ammonia monitors incorporate an automatic dilution system extending the measurement range to 0-10,000mg/L as N.
The Proam ammonia technology has been selected for continuous measurement and control of a SBR nitrification process at AWS Sculthorpe WwTW. The Proam ammonia monitor will be installed in a small hand rail mounted enclosure providing weather and frost protection to the analyser. Sample will be prepared using membrane filtration to remove biology and suspended solids prior to measurement. The Proam technology was selected for this low range application where the site consent is only 2.00mg/L N, to provide accurate measurement to verify that the treatment process is performing satisfactorily. Lilleshall National Sports and Conferencing Centre, located in Shropshire, approached PPM to provide continuous water quality measurement for the waste water derived from the facility. The turbidity instrumentation, continuously measures the physical water quality after treatment. The site originates back to 1831 when it was formally used as the hunting lodge. Nowadays, the venue accommodates Lilleshall National Sports and Conferencing Centre which is a flagship residential training venue and award winning National Centre of Excellence. A new Protoc TOC analyser is to be installed at Compton Bassett STW to measure the organic load entering the work which is affected by influent from a local landfill operation. The instrument will measure the Total Organic Carbon in real time and allow and indication of the Chemical Oxygen Demand. Wessex Water has taken delivery of a dissolved oxygen monitor to replace existing technology for the Westbury WwTW. The instrumentation has been selected as a reliable, low maintenance alternative to the technology originally fitted to the aeration lane. One of the leading specialist retail and forecourt construction contractors in the UK has approached PPM to provide a measurement solution for a new forecourt project in South Wales. During the construction of the forecourt, the Environment Agency has stipulated that the pH of the surface water discharge is continuously monitored. 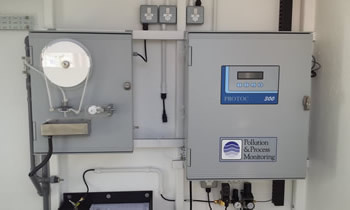 PPM have provided pH instrumentation with a local display and outputs, to measure the surface water discharge for any increase in pH should cementaceous material affect the water quality. We have supplied ten UVT monitors to be used by water production scientists needing to check compliance to the drinking water directive. The portable, battery powered instruments have been dispersed across the catchment so sites performing UV disinfection can be regularly checked. UV254nm is absorbed by chemical (organic and inorganic chemistry) and physical (turbidity) constituents. Regular spot checks are used to ensure that the UV lamp intensity is correctly set according to water quality. Our Indian distributer, Forbes Marshall has placed an order for 6 Protoc 300 TOC analysers for the end user Bharat Petroleum Corporation. The project is in conjunction with Engineers India Limited and the final destination is the Kochi refinery located at Ambalamugal near the city of Kochi in Kerala. 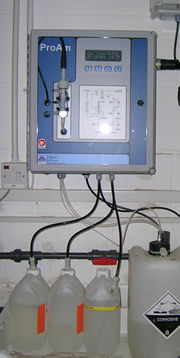 The application is condensate return monitoring on 6 process lines. Part of the client's quality assurance procedures calls for an independent inspector to whiteness the test procedures at PPM, on one of the 6 instruments. Additionally the test paperwork needs to be reviewed and endorsed for all of the Protoc instruments supplied to ensure compliance with the client's high standards. A large Acrylic chemical plant in the North East of England purchased a new Protoc 300 TOC analyser to replace one of their existing Protoc TOC instruments. There are a number of Protoc TOC instruments currently in use which have provided long service (some for more than 10 years continuous operation). In addition, they have also ordered 2 new ProAm ammonia monitors. The purchase follows a successful trial against alternative technology previously used on site. It was found that the ProAm manufactured by PPM offered a fast response and good operational reliability during the trial. The evaluation resulted in the selection of the ProAm analyser as the replacement instrument for two separate installations. Two large analyser kiosks containing our Protoc TOC analyser technology have been fabricated for Manchester Airport Group (MAG). The instrumentation is used to provide continuous water quality measurement on surface water discharge from runways to ensure environmental compliance. A service visit to Anglian Water at Mareham WTW took place this month which allowed O&M training on a Proam analyser to new site personnel, originally installed in December 2006. The instrument configured 0-1.00 PPM as N continues to perform well after nearly nine years of continuous operation. The installation at Mareham WTW provides testament to the build quality and longevity of the Proam technology. The analyser provides continuous measurement on the abstracted water at the river intake which receives surface ingress from the agricultural catchment and forms part of a suite of on-line instruments reporting DO, conductivity, pH and turbidity also supplied by PPM. Refresco Gerber has placed an order for a Protoc 300 to replace an existing Protoc analyser that has given many years of continuous service. The instrument performs truly continuous measurement 24 hours a day, monitoring the discharge to sewer at the juice production facility. Some of the key factors affecting the decision to place the repeat order were: the ease of use and the good after sales experience reported by shift personnel which has included routine maintenance visits performed by our support team. The existing maintenance contract will stay in place ensuring many more years of dependable measurement. We have received an export order for a Protoc 300 TOC complete with membrane filtration module for a project in Israel. The end user is Tambour Ltd., an Israeli company engaged in the manufacture of paint, coatings and advanced construction materials. The company was founded in Israel in 1936 and Tambour is today the largest Israeli company leading the local paint market and is in the top 50 among the world's paint manufacturers. The Protoc 300 analyser is ranged 0-30 PPM TOC and will be monitoring a sensitive discharge point. Ntron, our distributer in Ireland has taken delivery of two Protoc 300 TOC analysers. The analytical instruments are to be used for two surface water discharge monitoring applications. One Protoc analyser is to be installed at a natural gas terminal located on the west coast of Ireland and the other instrument will be installed at a pharmaceutical manufacturer located in the south west at Cork. Atlas Technology has placed a significant order for ten Proam ammonia monitors intended for a project with the Taiwanese Semiconductor Manufacturing Corporation (TSMC). The analysers will be located at the large FAB 12 facility at Hsinchu Science Park on various production discharge points. The Hampshire based Oxoid microbiology production facility has purchased two analysers from PPM to continuously monitor the quality of their trade discharge. The Proam ammonia and the Chemitec ortho-phosphate analysers will be pre-mounted onto PVC backpanels, complete with electrical and sample distribution. The sample delivery and preparation system will also be supplied to support the installation. Since the discharge is intermittent, the instruments will be externally controlled to only operate during the batch discharge, to save on reagents and reduce running costs. Our Indian Distributor has secured another sale of a Protoc TOC analyser for a project with Engineers India Ltd supplying Chennai Petroleum Corporation Limited (CPCL), who is the end user. The Protoc TOC analyser is configured to measure a condensate sample, alarming for the presence of organic contamination. The instrument was performance tested as part of our standard quality assurance procedures which were independently verified by an external inspector so a QA report could be generated, forming part of a portfolio of supporting documentation. DDW (D.D. Williamson) is the world leader in caramel colour and a leading provider of natural colours for food and beverage products. The Company is based on the Cargill site at Manchester where they share a combined waste-water holding tank that discharges to United Utilities Davyhulme WwTW. DDW Colour wanted to gain a better understanding of ammonia concentrations during different aspects of their manufacturing processes so they approached PPM to provide instrumentation for continuous measurement. The Company previously performed spot sample analysis but this only gave a snap shot of the ammonia concentration at any given time. Following a successful four week trial installation of the Proam ammonia monitor, DDW Colour has now made the installation permanent. The continuous measurement of ammonia in their effluent allows the Company to better understand the effluent associated with their manufacturing processes, to ultimately improve effluent quality. 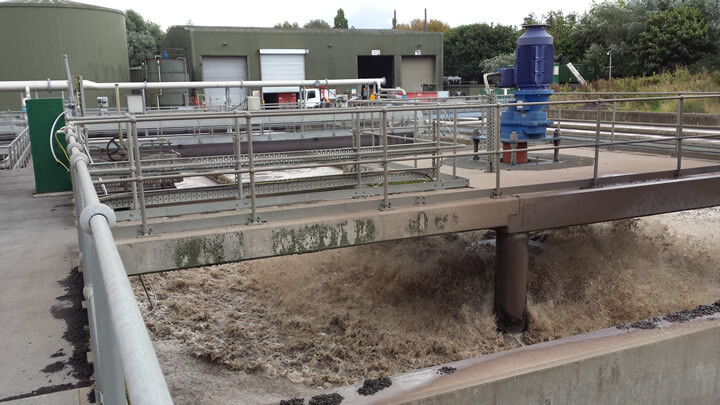 Wessex Water has selected a PPM turbidity instrument to continuously monitor effluent quality at the Bower Hill WwTW. The turbidity sensor will be installed within a small sample breaktank receiving sample pumped by a small peristaltic sample pump overcoming difficult sample availability issues. The turbidity sensor will be automatically cleaned using compressed air from an on-demand compressor built by PPM to reduce maintenance and maintain the sensor in optimum working condition. Ondeo Industrial Solutions Ltd., manage the effluent treatment plant at Heineken's Royal Brewery in Manchester. The Brewery has recently increased production capacity with the addition of a production line. An additional Protoc 300 TOC analyser will be installed to continuously monitor the new effluent stream feeding the existing treatment facility. Both the existing and new Protoc 300 TOC analysers will be re-installed in a purpose built walkin GRP kiosk complete with lighting, frost protection, electrical distribution and sample preparation. The second Protoc 300 TOC analyser is required to improve control and operation of the treatment plant. IFF has approached Pollution & Process Monitoring to advise on the most cost effective way to monitor their effluent treatment facility. The Company manufactures a variety of fragrances used in perfumes and detergents and has an on-site laboratory to perform discrete sample measurement including the trade discharge to Anglian Water. The process effluent containing waste products, is balanced to regulate pH and dissolved salts such as chloride. The installation of pH and conductivity measurement, complete with automatic compressed air cleaning to maintain the in-situ sensors, will be used to provide continuous in-tank monitoring to ultimately enable improved effluent control. The latest Protoc 300 destined for India will shortly complete a third party witness test which incorporates a 24 hour stability run in addition to the usual accuracy and output tests. The TPI was requested by the end user, Bharat Petroleum Corporation Limited which is an Indian state-controlled oil and gas company. The independent testing and subsequent report, form part of BPCL's quality control procedures for the whole engineered project. The Protoc 300 TOC instrument is to be used on a condensate application to report and alarm if any organic contamination is present. Our Korean distributer Dong Moon ENT has ordered a Protoc 300 analyser configured 0 - 2.00 PPM TOC for a project at a drinking water treatment plant. The Gwanggyo reservoir is located beneath the Gwanggyo mountain and is the drinking water source for the Suwon city. The Protoc 300 TOC analyser will provide important continuous water quality assurance detecting any possible organic contamination. Atlas Technology of Taiwan, has taken delivery of another Proam ammonia monitor. The water quality instrument will be used to continuously measure waste water from United Microelectronics Corporation's (UMC) FAB 8F which is located in Hsinchu, Taiwan. This fabrication plant produces around 32,000 micro chip wafers, of 200mm diameter per month and is one of seven other fabrication plants in the locality. 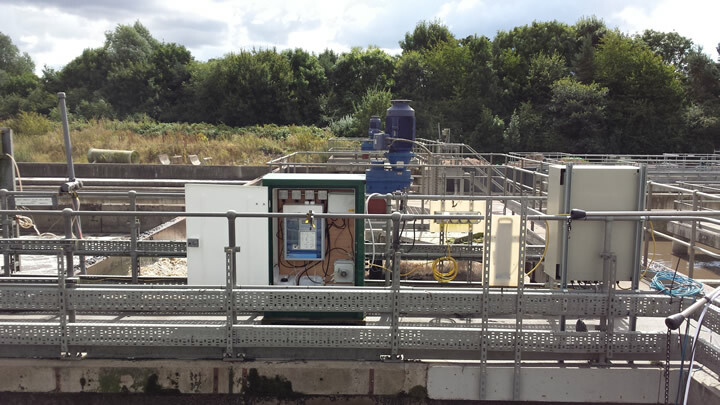 The Proam ammonia monitor has been extensively installed for final effluent compliance monitoring within Severn Trent Water. The instrument was selected following an extensive product evaluation to determine reliability for the intended application. The latest order to supply a further six Proam ammonia analysers, is an extension to a large installation program providing continuous final effluent monitoring, across the Severn Trent Water catchment. Vital Earth operates a composting facility occupying approximately 4.9 ha. at a former airfield located in Ashbourne, Derbyshire. During periods of heavy rainfall, surface water runoff from the site may enter a number of small watercourses in close proximity to the Industrial Estate, particularly Snipesmoor Brook. At a time when the site expands it's operation, they have purchased a ProAm ammonia monitor to provide continuous water quality measurement of surface water runoff and provide realtime protection of the local environment. Orders have been received from Severn Trent Water, Anglian Water and Wesssex Water to supply our Proam ammonia monitor for continuous final effluent discharge monitoring. Severn Trent Water have purchased six more Proam analysers whilst Anglian Water has selected the Proam analyser for Stanningfield WwTW and Wessex Water for Chewstoke WwTW. The analyser technology is ideally suited to sites having low ammonia consents since it can be programmed to automatically calibrate against known calibration standards to eliminate calibration drift, maintain optimum accuracy and validate measurements. Forbes Marshall of India has taken delivery of another eight Protoc TOC analysers. These are to be included in a project for the Bharat Petroleum Corporation Limited (BPCL). The Protoc TOC analysers will be monitoring various condensate streams for organic contamination. Forbes Marshall will be engineering a full installation package to meet the clients exacting specification. A Protoc 300 recently dispatched this month to Thailand is intended for a continuous monitoring application, to measure TOC in condensate water on a new bio-power plant. The Protoc TOC analyser is to provide process monitoring at a energy from waste project at a 9.5-MW power station which will be fired using coconut waste. The Power Station is located in the Samut Sakhon Province in Thailand. Pollution & Process Monitoring has again been awarded accreditation from Safecontractor for its commitment to achieving excellence in health and safety. PPM's continued accreditation from previous awards which comprises a detailed audit of all aspects of Health and Safety policy and procedures. Safecontractor is a leading third party accreditation scheme which recognises very high standards in health and safety management amongst UK contractors. John Kinge, technical director of Safecontractor said, "Major organisations simply cannot afford to run the risk of employing contractors who are not able to prove that they have sound health and safety policies in place." PPM recognises that the Safecontractor accreditation continues enhance the company's ability to attract new contracts and its commitment to safe working practices will be viewed positively by all concerned. As part of an order for nine instruments placed by our Indian distributer, three Protoc analysers were independently inspected by Lloyds Register as a proportional sample of the batch order. The inspection followed a Quality Assurance Plan request by the end user installing the instruments at a refinery project, measuring condensate and cooling water. The three Protoc TOC instruments were ranged 0-10, 0-20 and 0-50 PPM TOC and were verified for linearity, 24 hour stability and the analogue and digital outputs were also validated. The remaining six instruments were performance evaluated by PPM engineers prior to the visit so the test paperwork could be acknowledged by the Lloyds inspector. Another Proam ammonia monitor has been purchased by Wessex Water for installation at Saltford WwTW, to provide continuous measurement of final effluent quality. The compliance analyser, will be installed with membrane filtration to remove biological and suspended solids to reduce on-going maintenance. Sample is supplied, along a fast sample loop to minimise bio-fouling of the membrane and provide a fast speed of response. The analyser will be configured to automatically calibrate and clean to support a monthly attendance regime. The Proam ammonia monitor has been independently evaluated at Wanlip WwTW (Severn Trent Water) alongside many other process instruments. Reliable aeration control can improve effluent quality, reduce energy consumption and operational costs, so the correct instrument choice is critically important. 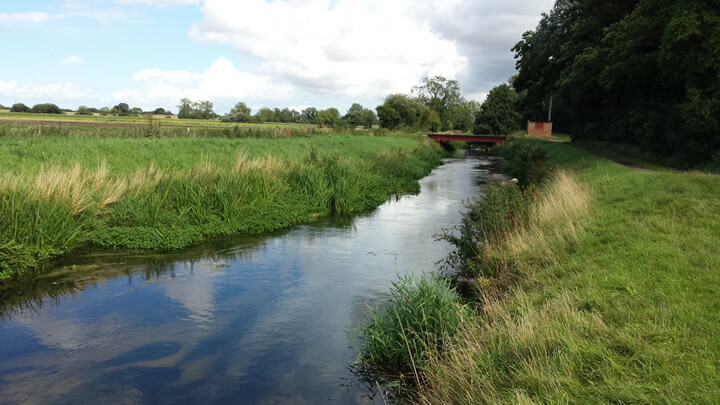 Consequently, a comprehensive evaluation was organised and funded by a consortium of UK Water Companies to determine the reliability of various probe and analyser technologies, installed within the nitrifying basins. Trial installations were made on both diffused aeration lanes and within surface aeration basins, where bio-fouling and ragging is known to be problematic. The assessment lasted 10 months and compared results from all the trial instrumentation against weekly hand-held measurements. The Proam ammonia monitor was installed with a special sample preparation / delivery system designed for the mixed liquor sample which contains a significant proportion of activated solids. The sample delivery system and analyser performed very well at both locations requiring the minimum of operator intervention. Despite very challenging conditions, the Proam installation demonstrated it's suitability for the continuous monitoring and aeration control application. The Italian chemical producer Versalis, which is owned entirely by Italy-based ENI SpA, will invest the £45m to expand Scottish elastomer production in Grangemouth, Scotland. The facility at Grangemouth produces synthetic elastomers and lattices, servicing the automotive tyre industry. The current £45m expansion is expected to increase production by 25%. The water quality monitoring station manufactured by PPM comprises a walkin GRP kiosk complete with Protoc TOC analyzer reporting dissolved hydrocarbons and a Paper Band Filtration system to remove particulate. 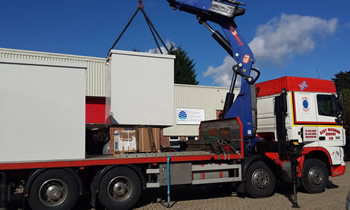 PPM pre-installed the instrumentation and prior to delivery to site, the main contractor visited PPM's premises in Kent, to perform factory acceptance testing.